Condemned serial killer Joseph E. Duncan is getting another day in court. Duncan, on death row for the torture and slaying of a North Idaho boy he abducted in 2005 after slaughtering much of the youngster’s family, will undergo a hearing to determine whether he was mentally competent when he decided to represent himself and waive his appeal rights. The move, which relates only to the sentencing phase rather than Duncan’s underlying conviction, comes after the U.S. Supreme Court declined to weigh in on the competency issue, leaving in place a lower court ruling. The 9th U.S. Circuit Court of Appeals ruled last year that U.S. District Judge Edward Lodge should have ordered competency hearings to explore whether Duncan understood the implications in November 2008 when he told the judge that he didn’t want to appeal his triple death sentence for the kidnapping, torture and murder of 9-year-old Dylan Groene. 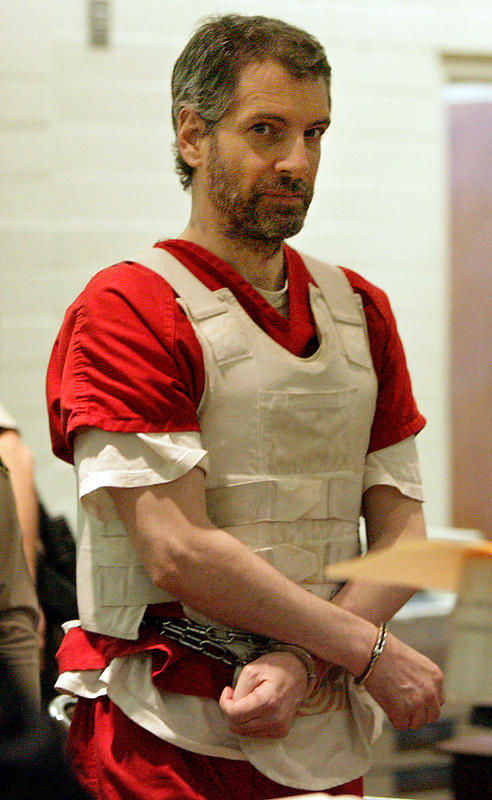 If Lodge concludes after the hearing that Duncan was incompetent, which his attorneys have previously argued he was, Lodge would be required to vacate Duncan’s death sentence and hold a second sentencing trial detailing the grisly murder, focusing on the videotaped torture of the boy in an abandoned Montana cabin. Olson previously said she believed Duncan was competent. Lodge ordered two extensive mental evaluations that delayed Duncan’s death penalty sentencing trial for months, but he never held a hearing on the issue in open court. As a result, all of Duncan’s mental evaluations remained secret. In 2009, after weeks of testimony in connection to a separate child murder case in California, a judge and jury determined that Duncan was competent. But the 9th Circuit later ruled in the Groene case that “reasonable doubt” exists, based on expert testimony, that Duncan was competent in 2008 when he waived his appeal and represented himself at the penalty phase of the case. Duncan killed three members of the Groene household in May 2005 so he could kidnap and molest the family’s two youngest children. He received three death sentences for the torture and killing of 9-year-old Dylan. His younger sister, Shasta, who was 8 at the time, survived. In the California case, Duncan was convicted of killing 10-year-old Anthony Martinez, bringing him a total of 11 life sentences in addition to the death sentences. As of Wednesday, Duncan remains on death row at the federal penitentiary in Terre Haute, Ind.